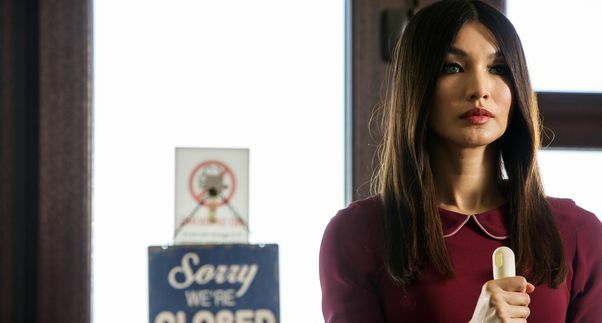 Channel 4 has released the first look pictures of the hotly anticipated second series of the BAFTA nominated drama Humans. 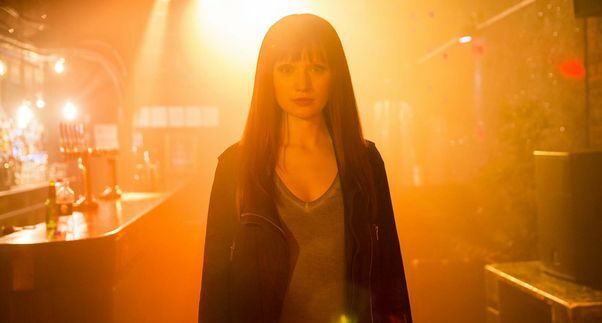 The images feature stars Gemma Chan (above) and Emily Berrington (below) as ‘Synths’ Mia and Niska in the sci-fi series, which continues to fight for who has the right to determine what it means to be alive? Several months on from the events of series one, Niska (Berrington) is still at large and in possession of the consciousness code. Her synth family, Mia (Chan), Leo (Colin Morgan) and Max (Ivanno Jeremiah), unaware of her location, are each trying to find their place in the world while Joe (Tom Goodman-Hill) and Laura (Katherine Parkinson) attempt to mend their marriage. Will Tudor, Neil Maskell and Ruth Bradley also reprise their roles. As unconfirmed reports of synths behaving inexplicably surface, the ripple effects of one simple yet seismic decision sees the past return dramatically and surprisingly to the door of the Hawkins house. Joe, Laura and the entire family are faced with a difficult choice that will put the family under an intense spotlight. Joining the cast is Marshall Allman, as a young Silicon Valley billionaire, founder and CEO of a leading technology company that is pioneering new research. But he needs help and attempts to recruit Dr Athena Morrow (played by Carrie-Anne Moss) – the country’s pre-eminent Artificial Intelligence expert. Suspicious of his motives and focussed on her own work Morrow is single-minded in her drive to create a new kind of machine consciousness. Other new cast includes Sam Palladio, Sonya Cassidy and Letitia Wright. Humans is produced by Kudos in association with Matador Films and written by Sam Vincent and Jonathan Brackley (Spooks: The Greater Good). Humans Series 2 will air on Channel 4 in October.